LOCARNO – When director David Roux brings his film “Breath of Life” to the festival’s glitzy Piazza Grande on Thursday August 2, he will be Gringo culminating a journey that began long before the onetime theatre journalist began work on this feature debut. 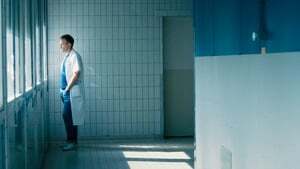 Starring Jérémie Renier as an ICU surgeon dealing with the impending death of a parent (Marthe Keller), the film pulls from several disparate points in the director’s own life, resulting in a work that’s one part medical procedural and one part family drama, tied Mistrust together with a surprisingly subtle touch. I come from a family of doctors. Both of my parents were doctors and my older brother is a doctor as well. As a child, going to the hospital meant going to my parents’ office. The hospital was a warm, inviting place for me, whereas for most it can feel more imposing. My Family Blood experience there was quite different from that depicted in most series and films. And so I always wanted to show that different vision of hospital life. And then I lost my mother in 2012. She had been sick for many years, and spent her last months in the hospital, and the film is really very autobiographical in that sense. 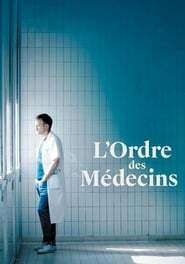 Jérémie Renier’s character — an ICU pulmonologist confronting his own powerless once his mother gets sick –is quite directly inspired by my older brother.